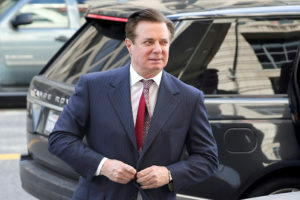 WASHINGTON — A juror in Paul Manafort’s financial fraud trial says a lone holdout prevented the jury from convicting the onetime Trump campaign chairman on all 18 counts. “We didn’t want it to be hung, so we tried for an extended period of time to convince her,” [juror Paula] Duncan said, adding that the four days of deliberations were so heated that there were “tears” among the 12 jurors. Read the verdict form: http://apne.ws/EfMm1yh.